In our recent hair loss success story, we briefly talked about Dr Robert Morse and his views on how to get rid of various illnesses and stay healthy (including growing your hair back). 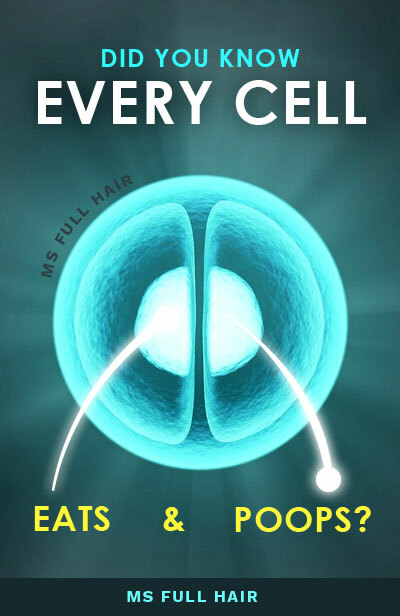 Here, we will go in depth on Dr Robert’s tips and suggestions on how to regrow thinning hair naturally. For those who are not familiar with him, we will first talk about who Dr Robert Morse is. Then, we will cover his key points on how our bodies work and what you can do to stop thinning hair and start growing your hair back. He even says in one of his videos that new sprouts of hairs started growing in a scalp of a man who had a “bowling ball” head (he said this in a very gentle and loving way) after following the suggested hair loss protocol. Towards the end of this article, we will share a couple of stories of people who had great success with regrowing their hair. Finally, we will give you an action plan of Dr Morse hair regrowth treatment and conclude the article with our final thoughts. Who is Dr Robert Morse? Dr Robert Morse is a naturopathic doctor (for over 40 years) who has dedicated all of his life to restoring the health of individuals suffering from various diseases. As a naturopath doctor, he is focused on natural healing using the power of herbs and body detoxification mainly through a fruit-based diet. Even if you say to yourself, “Yep, heard that before” or “Ah, one of those vegan people”, make sure to continue reading. What makes Dr Morse stand out is why he suggests such a specific diet. And in this article, we will specifically talk about his views on why people lose hair even at young age and how you can make your hair grow back. Dr Morse focuses on the easily overlooked fact that our body is fundamentally made of cells and fluids. When it comes to fluids, most people only think of blood; however, he says blood is only 25% of the fluid in our bodies. The majority (75%) is actually lymphatic fluid. When you see inflammation and various diseases, it’s almost always due to the lymphatic system. He says just like we as humans eat and poop, our cells also “eat and poop” in similar, but different ways. Blood provides nutrition to trillions of cells in our body, but the cells must consume and utilize the energy… then get rid of the waste. The waste from a cell is dumped into the lymphatic system. Lymphatic fluid is what controls the cell-waste cleaning process throughout the body. So why does the lymphatic system exist? Waste removal. Dr Morse says that the lymphatic system exists in our body in order to remove metabolic waste that our cells excrete (aka “poop”, in his analogy). Considering the lymph system is 75% of the body’s fluid, you can see how important it is that it works properly. He says that various diseases including autoimmune disorders, IBS, ulcerative colitis, and cancers mostly come from the blockage of the lymphatic system (not being able to remove / filter metabolic wastes properly), which then affects various parts of the organs and starts causing all sorts of symptoms and illnesses. The lymphatic system is controlled by the kidneys. 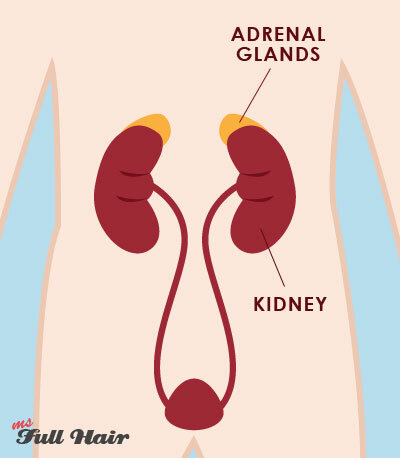 Kidneys are then controlled by adrenal glands. For instance, if adrenal glands malfunction, a kidney failure can occur, which then backs up your lymph system (the giant sewer system) causing various illnesses. You can easily see their close relationship to one another and how important each of them can be to keeping our bodies clean and healthy by filtering out metabolic waste. So what causes a messed-up lymphatic system in the first place? Various diseases come from an acid-forming diet. The acid side is corrosive and inflammatory. It dehydrates and hardens your body. It also burns electrolytes rapidly. Electrolytes are a crucial mineral that balances your body’s pH level. On the other hand, the base or alkaline side is where healing comes from, thus that’s where you want to stay according to Dr Robert. So what kind of foods form acidosis (too much acid)? Deep fried foods – the list goes on. He also emphasizes over and over again throughout almost ALL of his videos that you should be very careful about protein. He points out that high-protein foods including meat, eggs, grains (as well as dairy) are detrimental to your health. Why? Protein causes acidosis, which then hinders our body from generating electrolytes to buffer all the systemic cellular metabolic acid waste from the cells. Basically, high protein interferes with the lymphatic system doing its most important job = getting rid of metabolic acid waste. Dr Robert says this is why various diseases including hair loss occur. How can I heal myself and be healthy? Dr Robert Morse’s healing protocol is actually quite simple. There are only two things to follow in order to heal yourself from any type of disease. He is BIG on the fruitarian diet. 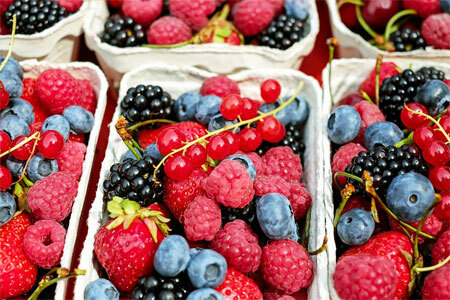 He says fruits, berries and melons are astringent, fast hydrators, and packed with flavonoids (a group of phytonutrients) which are major natural healers and key to healthy lymph. Everything that was rock hard due to protein plaque build-up inside your body (including our intestines), will become soft and flexible again by eating these fruits, he adds. He says “fruits, berries and melons” are better than vegetables in terms of detoxifying and providing essential nutrition to our body for healthy fluid circulation. While he is NOT against vegetables, he emphasizes the importance of eating “fruits, berries and melons” numerous times. Dr Morse states that fruits are natural detoxifiers, which you desperately need for recovering from the acidic environment and cleaning up your kidneys, adrenal glands and getting your lymph moving again. Interestingly, he also says that this fruit-based detoxifying diet happens to be designed perfectly for homosapien and all other primate species. Dr Morse says herbs are God’s gifts to the earth. He says botanicals are tissue specific, meaning there is an herb for kidneys, an herb for the liver, and an herb for nervous system, etc. This is why he explains the reason of creating various and specific tinctures for different organs and healing purposes when he started the clinic (which was a few decades ago). Each tincture (there are also capsules) is composed of mixture of certain herbs, which he tested for months to validate their efficacy, safety and potency. Unfortunately, he doesn’t often talk about the name of specific herbs for curing certain symptoms in his videos. But you can easily figure that out by looking at the ingredients of the tincture if you are interested. Although this list isn’t complete, one of his lymphatic system tinctures includes chaparral herb, poke root, plantain leaf, cleavers herb, echinacea angustifolia root, red root, white oak bark, and prickly ash bark. Now, the hair loss part – What causes baldness? First, it has to do with too much acid (systemic acidosis) in the body. 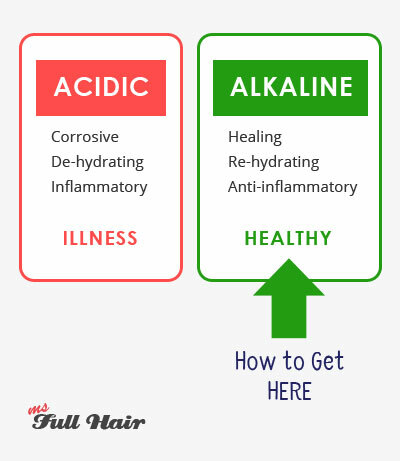 For hair loss, the extremely acidic environment is built up in the head area, causing your hairs to fall out. He takes chemotherapy as an example. It’s because the treatment is extremely acidic and breaks down the tissue. That’s where the lymph system comes into the picture. The lymph system is what deals with acidosis. In other words, if you want to grow hair back, you need to correct the lymph system in the head area. What about dandruff or folliculitis (follicle inflammation)? Again, he says this is also a lymphatic issue. Both symptoms occur because metabolic waste is basically trying to get out through the skin. 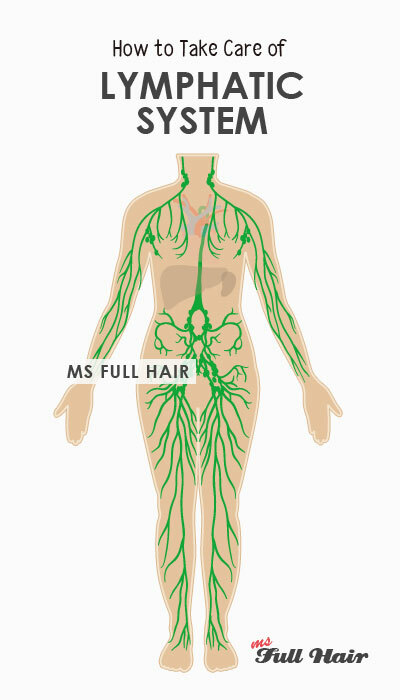 If it cannot get out, that’s when you see more serious symptoms such as sclerosis and eczema. Dr Morse gives the fastest and easiest way to find out what could be the cause of your hair loss or hair thinning. If you see white sediment on the bottom of your urine, this means that your kidney filtration is working properly. However, if your urine comes out clean (meaning no sediments), this is an indication that your lymphatic system is NOT draining metabolic wastes properly, thus, plaque is continuously building inside the body – a big red flag. Another way to find out what causes hair loss (or any other illness symptoms) is by analyzing your eyes, which he says is a more accurate way to measure what’s really going on inside the body (aka iridology – we will make a separate post for this). Basically, all these questions, whether you are early 20s or late 50’s, come down to one thing: I need to know how to regrow my hair. As for the first step, you will want to get rid of too much acid inside the body. So, focus on a detoxifying and alkaline-based diet by eating A LOT of “fruits, berries, and melons” which will provide ionization (re-hydration). He also says dry fasting for 24 hours or 10-day lemon juice fasting is ok too in some of his videos. But he still recommends people to start with fruit-based diet first. He says many people suffering from hair loss have benefited from using the “upper body circulation” tincture and experienced new sprouts of hairs filling in thinning spots of their heads. Dr Morse says this herbal tincture works as a stimulant to bring alkaline chemistry back and remove acids, thus promoting upper body restoration. 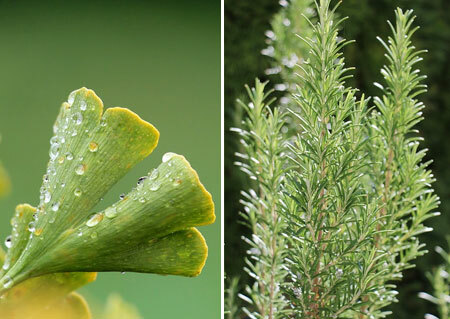 So if you are not sure about jumping into buying the tincture, maybe adding some of these herbs to your hair loss regime is another great option to consider. 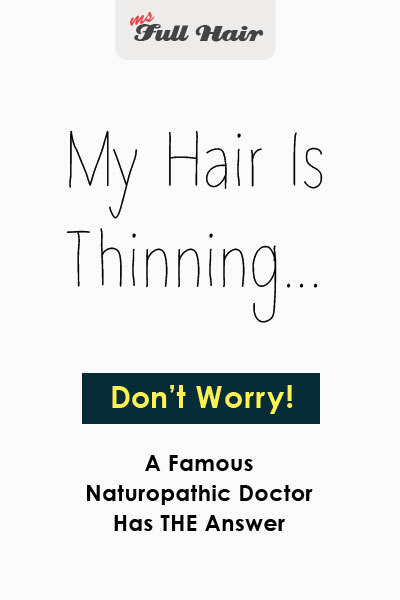 He says if you are not growing your hair back even after the upper body circulation tincture, then you will want to get more serious and take a look at your whole body. Or you can look up the ingredients of each tincture and add some of them as a tea or however you prefer to ingest them (other than smoking). Finally, here is a summary of action items. 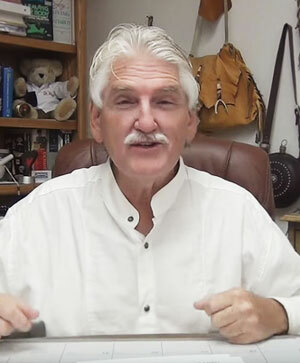 Throughout his videos, he shares a number of testimonial letters from people who got their hair back using his suggested hair regrowth protocol. The YouTuber from our last hair loss success story also followed Dr Morse’s diet plan (not 100%, but close enough) and reported hair loss reversal from typical male pattern baldness. In addition, we came across a woman who had success with regrowing hair. She says she had extreme hair thinning on top of her head, which was happening for over 11 years. After taking Dr. Morse’s herbal formula as well as changing her diet, she noticed new hairs filling into the thinning area. Is Dr Robert Morse a scam? Well, after watching MANY of his videos, we highly doubt he is dishonest nor an I-am-here-to-grab-your-money type of person. There are over 500 videos and interviews in his channel and most of these videos are at least 1 hour long, in which he freely (and genuinely) gives out his knowledge and answers various health questions from numerous people. What about supplements like B12, iodine, etc? He says they are not necessary. Your focus should be getting rid of acidosis first from the body. What about castor oil head massage (or any type of oil massage)? He is not sure about this. He says he would rather focus on getting the lymph moving in the head area by adding proper diet and specific botanical ingredients. What if my hair loss is due to genetics? He says genetic plays a role. For instance, your hair loss may be due to a family background of acidosis in the head. BUT, when we change the focus (or energy) of ingestion by choosing and eating different foods, we change the chemical output too, he adds. So his short answer is you can overcome genetic baldness. Dr Morse says numerous times that internal acidosis is created by bad diet, especially by consuming too much protein. By introducing a fruitarian diet (fruits, berries, and melons), you can start cleaning up your kidneys and adrenals and get the lymph moving again. Using certain herbs on top of the diet can be a great addition to complete the healing and restoring process of our body and be free of any diseases including hair loss. The most difficult part of Dr Morse hair regrowth treatment? It has to be the diet. While eating lots of fruits is quite easy, switching to a 100% fruit diet is NOT an easy task for most people; however, you can take the first step by becoming more conscious of what you eat in each meal and taking a slower approach by adding more fruit to your daily routine. Have you tried Dr Robert Morse tincture or diet for hair loss? Share your experience in the comment!